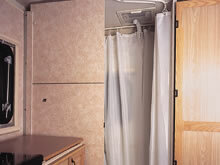 All Carousel models may be fitted with a hot water system which will provide hot water at the touch of a button! Where hot water is fitted as an optional extra, some Carousels may have been fitted with a shower also. (Standard Width and Clubman models only). Not all Carousels have heaters fitted, owners preferring to use their own 240v heater. 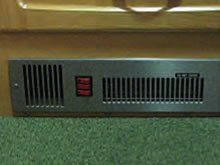 Some will have a 240v heater installed or a gas blown air system. 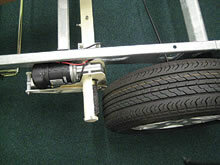 This ingenious device slides neatly under your Carousel and is easy to locate and use. 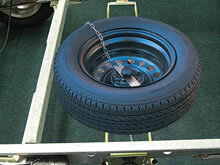 The carrier also saves you transporting a cumbersome spare wheel in your car or caravan. 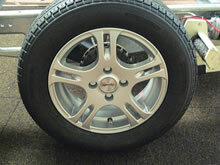 Carousels with 14″ wheels have the option of alloy wheels to enhance the styling even more. Tyrons significantly improve the performance and therefore, safety of any wheel and tyre in the event of deflation by puncture or ‘blow-out’. 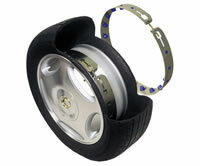 At speed, it assists the driver in maintaining steering, cornering, braking and traction control. For that difficult drive or storage situation, or indeed to assist you on site, a remote control mover can be fitted to your Carousel. 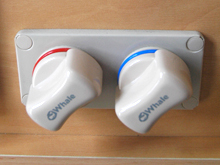 Two models are available including one with the ‘Powractuator’ motor engagement.